Graphics card refers to the product used by your PC to convert data into valuable images in your monitor. Also called a video card, it is available in various models and options, so you may feel overwhelmed when looking at all your options in your search for the best graphics card brand. An integrated graphics card describes its relationship to your PCs motherboard. It is often the default option, which comes along with the standard motherboard. You can upgrade the integrated type, but note that it also means that you have to plug the new card into the PC’s motherboard and ignore the old one. It’s the least powerful out of the many graphics cards, though, so you need to upgrade, especially if you plan to use your PC to play video games. This type refers to a card, which makes use of the PCI slots that you can find in your motherboard to connect to your PC. It’s quite outdated, though, but rest assured that you can still use it on old motherboards with PCI slots. It’s the latest technology in the field of graphics cards and tends to work with the primary board systems. It does this to permit the transfer of large amounts of bandwidth, thereby resulting to a new level in terms of graphics and system performance. One good thing about the AGP graphics card is that it has four speeds with 8x being the fastest. Note, however, that if you have a motherboard, which only supports low speed, like 1x, 2x or 4x, then there is a chance for the card to behave slower than its actual speed. It’s not as fast as the PCI Express because it has some limitations in technology, but it’s widely compatible with lots of PC systems. ​But before we go to the factors of consideration for the best choice, let’s first highlight the four best products brands on the market. This graphics card from EVGA is probably the most powerful product in the industry. It is based on a dual-slot form factor, which is around 128mm in height and 267mm in length. It has a radical and new look and it operates up to 13% quieter and 10% faster when compared to its Founder Edition. Furthermore, EVGA just makes use of one 8-pin power connector for this specific model. It also features honeycombed screens with white LED light. This specific graphics card model from EVGA comes integrated with a high-end and top quality Pascal GP104 GPU. It comes with up to 1920 shader processors. Furthermore, it is locked and equipped with clock frequencies of around 1785 MHz for the boost and 1595 for the base. That said, you can expect it to be clocked several notches higher. This graphics card from EVGA is a high-end model based on the brand’s Flagship product, the GTX Titan. It’s based on the GK110 GPU. It comes with a high base/boost clock. In terms of software, this model makes use of the EVGA Precision X for overclocking, and the OC Scanner X software designed for monitoring. With its powerful, ultra-efficient, next-gen architecture makes the GTX 750 the weapon of choice for serious gaming at an incredible value. GTX 750 and GTX 750 It cards give you the gaming horsepower to take on today's most demanding titles in full 1080p HD. They deliver 25% more performance than previous-generation cards and up to twice the power efficiency, thanks to the next generation NVIDIA Maxwell architecture. Plus, they come loaded with GeForce GTX gaming technologies like NVIDIA Game Stream, G-Sync and GeForce Experience. If you're looking for hyper-realistic gameplay, stunning visuals and exceptional value, this is your graphics card. 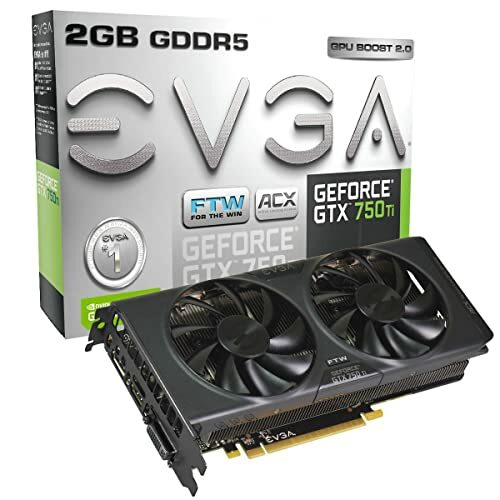 ​EVGA has more to offer in terms of graphics card, so it pays to check them out if what you are looking for is quality. One distinctive feature of this ZOTAC graphics card is the Icestorm cooler, which makes use of 90-mm designed to control its high temperature. It has a PCB design, which is exclusive to ZOTAC. It symbolizes the passion of the brand to offer extra performance at a reasonable price. This graphics card features a massive cooler, which is a good thing when it comes to preventing overheating. It also sports two 8-pin PEG connections. It is capable of drawing up to 375-watt power from different connections. It also comes naturally overclocked. You can expect it to deliver maximum performance with its improved cooling ability and power delivery. 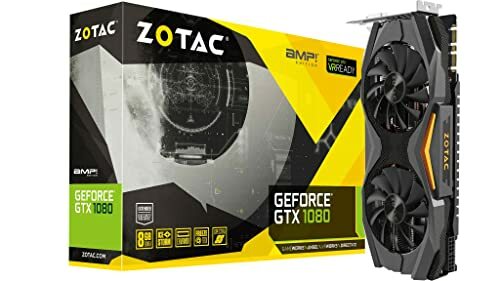 This ZOTAC graphics card proves that there is no need for you to spend too much if you want to have the most enjoyable experience when playing PC games. It comes at a reasonable price without compromising the quality of its settings. It supports the newest display technologies and graphics APIs. Aside from that, the graphic card also makes it possible for you to play the recent games at 1080p while showcasing smooth high-framerate graphics. This product from ASUS is considered by many as the fastest consumer graphics card that one can find. 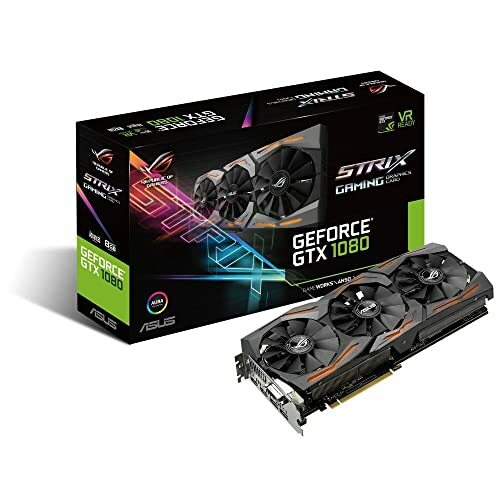 While it costs higher than the other graphics card in the market today, you have an assurance that it delivers excellent performance and impressive features. It comes with three cooling fans, thereby promoting better cooling ability, further resulting to ease in overclocking. Aside from that, it operates quietly. If you’re looking for a more affordable graphics card from ASUS, then this model fits the bill. It uses the same graphics processor used by RX 480, its bigger brother. The only difference is that some chosen components were disabled. For instance, the RX 470 comes only with 2048 stream processors while the RX 480 has 2304. RX 470 also makes use of the 14nm FinFET technology, designed to deliver excellent performance while consuming less power. This ASUS graphics card comes factory overclocked. It also features an impressive twin-fan, thermostatically-controlled cooler that usually operates without producing any sound. Even if you are using it for heavy gaming, you can still expect the card to stay quiet. It’s a good choice if you are searching for a low-cost graphics card, which consumes less power, produces less noise, and delivers a reasonable performance. ​With the many graphics cards offered by ASUS, finding one, which can support your requirements and needs is easier. One remarkable feature of the GIGABYTE GeForce GTX 1070 G1 graphics card is its WINDFORCE 3X cooling system. It comes with two composite heat pipes made of pure copper. The cooling system used promotes effective heat dissipation, making the graphics card perform at its best even at low temperature. Furthermore, it has customizable color lighting options, allowing you to pick the perfect scheme designed for your gaming rig. This specific graphics card comes with 80 texture mapping units, 48 ROPS and 1,280 cores. It boasts of a max boost clock of 1847MHz when set at OC mode. When you set it at Game Mode, expect it to deliver a top clock of 1809MHz. It also boasts of its distinctive fan and cooler layouts. It pulls air from within its case, instead of from the blower. Aside from that, it utilizes heat-piped heat sinks, LED lights that tend to light up whenever the fans stop at idle, identical fan blade design, and fans that tend to spin in alternate directions. This is another bestseller from the brand and for good reasons. It also uses the WINDFORCE 3X cooling system used in most GIGABYTE graphics cards. GTX 970 G1 also uses four heat pipes. Aside from that, it makes use of a cheaper aluminum insert. It has a PCB system, which also works with the aid of three 80-mm fans. How to Find the Best Graphics Card Brand? You need to know exactly how the graphics card perform before you make your final purchase. Find out if it can handle your favorite games using the highest setting. Also, determine the resolutions it uses to present images. If possible, go for a card with high frame rates as it has better performance while also providing a smooth rendering experience. 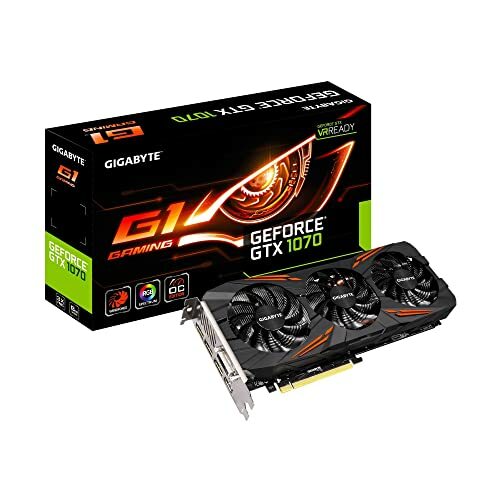 Starting to browse the market for the best graphics card brand can make you realize that these products are available in a comprehensive range of specifications designed to cater to the needs of all types of users. You can go for a basic, low-end graphics card if what you’ll be using it for is for office work and emails. However, if you intend to use the card for heavy gaming, photo editing, or software designing, then you need to invest in a top-tier graphics card. GPU is one of the most vital aspects of a graphics card. It helps lighten the load of your PC’s CPU, thereby ensuring that it runs and functions faster. That said, it’s advisable to find a graphics card, which features high core and memory clock speed. Such provides information about the memory bandwidth of the card that has a major impact on its frame rate. Higher frame rate means that scrolling and animation are smooth. You have to find the right balance between power and noise when searching for a good graphics card. It should be quiet yet powerful. ​Other factors to keep in mind when searching for the best graphics card brand are rendering technologies, supported API, budget, compatibility, memory, and platform. Aside from the graphics card brands mentioned above, it also pays to check out MSI. Many consider it as the best graphics card brand because most of its products have all the features they need to upgrade their systems. In your search for the best brand, though, make sure to study all the features that a specific model offers. Consider your needs as well. Read reviews, and understand all the features provided by each brand and model, so you will know exactly which one specifically fits your needs.